One of the best things about an annual guest teaching position is the diversity it offers students. 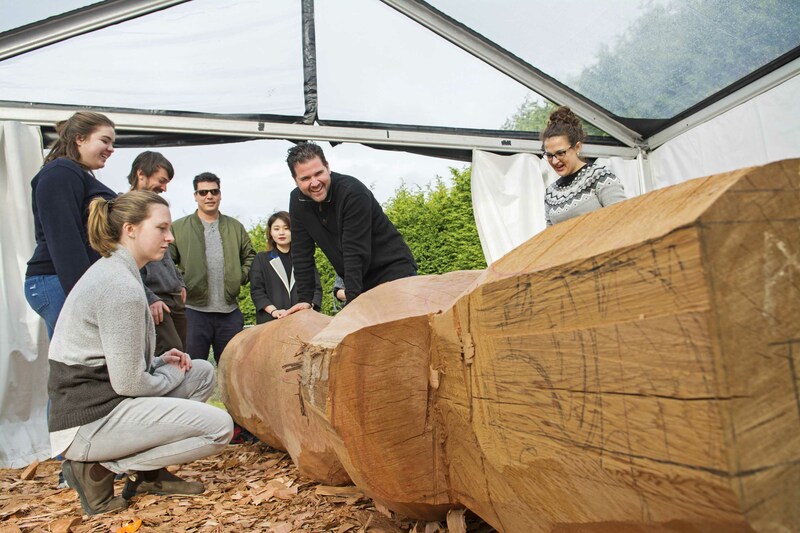 Now in its sixth year in the visual arts department, the Audain Professorship of Contemporary Art Practice of the Pacific Northwest has benefited from a variety of approaches and practices by previous professors—including the likes of Jackson 2Bears, Michael Nicol Yahgulanaas, Nicholas Galanin and Governor General’s Award-winner Rebecca Belmore. 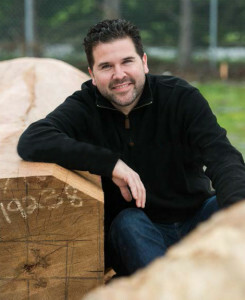 But Rande Cook has one unique aspect not shared by his forerunners: he is the first Audain professor to represent a Vancouver Island nation. Cook wanted to do more than just teach art, however; he was also keen to raise student awareness about current issues in Canadian First Nations politics. “I wanted to design a course around the work I’m doing right now, which means looking at the Truth and Reconciliation Commission, the murdered and missing Indigenous women, Idle No More, the REDress project, the round dance movement . . . about healing and bridging,” he says.